Installing and maintaining office plants, indoor plants, tropical plants, house plants, bonsai, potted flowers and green (living) walls. 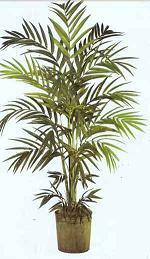 These plants are specially grown for the artificial indoor environment. They are used in such places as office buildings, shopping centers, hotels and homes. Plants bring the outdoors in. They humanize the work environment and contribute to a relaxed atmosphere in which people can interact and work. Fresh flower arrangements, orchids, flowering plant rotations and cut flowers for speical events and reception areas. Corporate gift baskets, jardinieres, delivered to a residence or place of business. We have extensive sources for cut flowers, flowering plants, and exoitc trees. We build, repair and clean artificial trees, plants, flowers either on site or back at our warehouse. Customized artificial flower arrangements. Outdoor container planting and street planting outside office building, hotels and government facilities using exotic trees, palms and flowering shrubs. Indoor plant rentals, flower arrangments and potted orchids for weddings, receptions, corporate events and conventions. Its not only about cutting grass. If you are looking for a company with knowledge about perennials, pruning, and other gardening techniques then we are your choice. We are qualified landscapers providing a range of services including soft landscaping, gardening, weeding, planting of annuals, bulbs, trees or shrubs. A well tended landscape with proper maintenance makes it a pleasure to visit or work at your company or residence. Tulip planting, annual planting, unusual flowers. Anyone wishing to create an impressive display with flowers and plants would be interested in what we have to offer. Our network of contacts and suppliers give us access to large quantities of annuals, perennials and bulbs including many hard to find varieties. We offer consulting, design services and project management. Often there is a problem for which you may need a specialist.